Description Duck Duck is a fast shooter game. 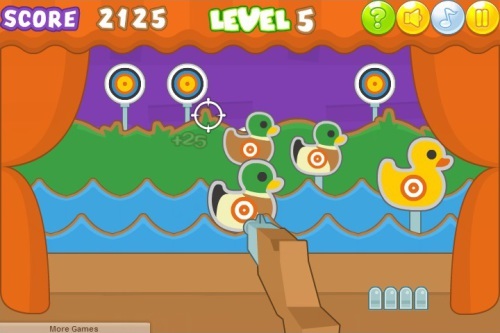 To gain the best score, shoot as many ducks and targets as you can. If you hit, you will reload the gun. If you miss, you loose one bullet. The game is over when you have no bullets to fire. At the end, you can submit your best score to scoreboard.